I adore making my food look pretty and I think this is definitely one of my faves so far… my Spring flower porridge 🙂 I was so proud of it, I didn’t want to eat it ha ha! My mum and sister, (knowing how obsessed I am with health and nutrition) filled a hamper with lots of goodies and gave it to me for my birthday last month, which introduced me to this yummy product and I love it! 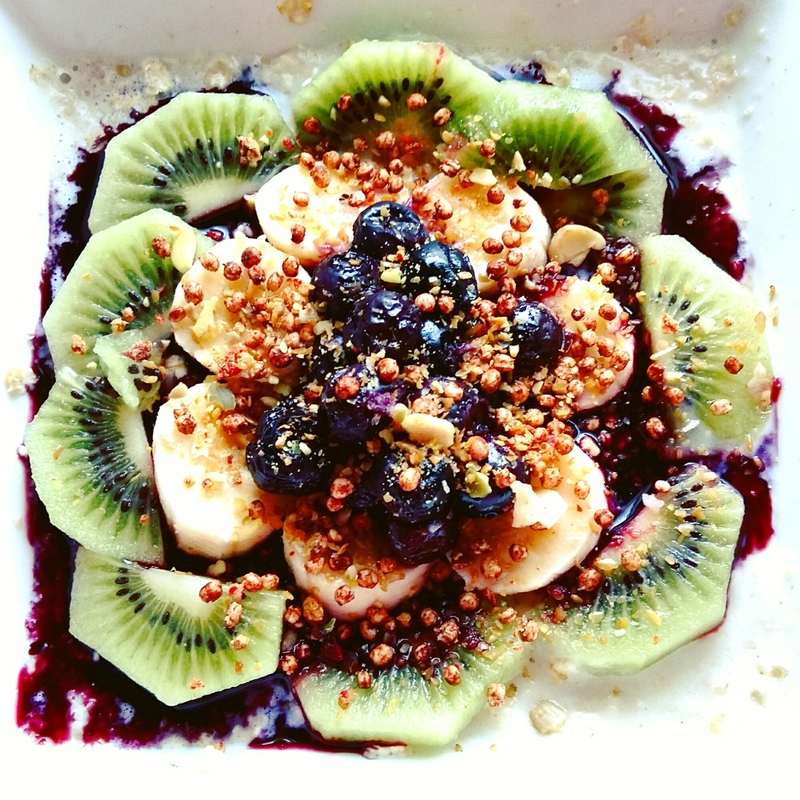 Qnola is a range of nutritionally enhanced Quinoa based breakfast goods and is the F I R S T cereal product on the market made with organic quinoa and absolutely no other grains or cereals. It is also lower in sugar than any other granola on the market, containing only natural plant sugars. Made using the purest superfoods and high in protein, fibre, antioxidants and essential fats, Qnola is a nourishing, convenient, instant and reliable breakfast choice that will really make a difference to how you start and spend the day. It means you don’t have to waste your precious time in the mornings preparing a nutritious, sustainable breakfast, that actually tastes good enough to eat. I use the sprinkles as an addition to my morning breakfast and not as a stand-alone cereal.